Bottle Design and Artwork: This is a standard 5ml brown apothecary bottle. The label extends just under halfway around the bottom. The label features the name of the collection and date in iron-colored font along the top, while the name of the scent is in a goldenrod color along the bottom of the label, just over the name of the company. The label art is of a winged dragon outlined in green wrapping itself around the BPAL symbol. In the Bottle (ITB): It’s a bit green from the sweetgrass, sage, and a touch of peppermint, but cedar and peppermint do seem to appear after a few seconds. Wet: It’s wet, strongly resinous with the dragon’s blood muddled with the sage, lavender, and peppermint. It reminds me of baby oil a little, but it’s also a scent I wouldn’t mind using for relaxation. Dry: Once dried, the sage and peppermint mellow down to the extent that the frankincense, bergamot, and magnolia can shine. I like this one! Scent Description and Notes: “Supports psychic health and strengthens the astral body! Dissolves and expels telepathic blockage! Every medium should have it! Use before every séance! Oil Color: A very light yellow color. Bottle Design and Artwork: This is a standard vial / imp size (1/32 oz). The label wrapped around the bottle features an Art-Deco inspired phoenix with name of the company next to the phoenix. On the other side, the title of the scent written in large, black Western font with the scent description and notes below it on a light lavender background. In the Imp (ITI): Honey and berry is all I get. Sadly, no poppy yet. Wet: Ah, there’s the poppy – floral and bitingly green at the same time, flanked by berry and honey. Dry: Very green, slightly bitter floral, and berry splashed with honey. It makes my nose tickle, though. Scent Description and Notes: “Infused with the force of attraction of a man with style and sensuality, this fresh, woody fragrance is effervescent with bright, sparkling notes of bergamot, ginger, and vetiver. This fragrance of contrasts is a unique combination of luxury, art, and modernity for timeless elegance. Bottle Design and Artwork: This is slightly wider than standard 1.5ml sample vial. The vial is a clear plastic with navy writing featuring the name of the brand, the name of the scent, the type of cologne (Eau de Toilette), the quantity, the production location, and a pictographic flammable warning. ITV: That’s a nice gentleman’s scent there. It’s alluring in its combination of ozone, vetiver, cedar, ginger, and violet leaves. Wet: It’s slightly more floral on my skin as I can pick up the violet leaf in strong abundance, but the foundation of ozone, cedar, and ginger and present. As it starts to settle, the tonka bean begins to sweeten everything just a tad. Dry: Dark tonka infuse with bergamot, violet leaves, ginger, and cedar. I might be tempted to wear this out as a scent for myself if I am ever feeling adventurous. My mother handed me an imp I had not tested. Woot! Bottle Design and Artwork: This is a standard vial / imp size (1/32 oz). The back features the name of the brand and a wispy black phoenix text to the company name. 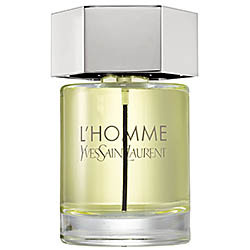 The front features the title of the scent written in large black font outlined with red. In the Imp (ITI): Well, hello marzipan and cough syrup. Wet: There isn’t much of a change on my skin except there is more vanilla and a hint of myrrh, I think. Dry: Light almond (not so sickly sweet now), some vanilla, and just a hint of red fruit remain, but faintly so. Oh gosh, I’m chagrin to be testing this. Oh well. Onward in the name of exploration! Scent Description and Notes: “GIRLFRIEND is an enticing fragrance made to get your heart racing as you experience that feeling of getting personal with Justin. One spray and you’ll finally experience the exhilaration of holding on and never letting go. Every touch, every breath—all captured in a flirty, new scent. Dare to get closer? Flirty, personal, and inviting, GIRLFRIEND draws you in with its fresh, eye-catching bottle, wrapped in gold lacing and topped with a revolutionary, new, magnetic cap. Sparkling Pear, Crisp Mandarin, Rich Blackberry, Mara Strawberry, Pink Freesia, Star Jasmine, Apricot Nectar, Orange Blossom, Vanilla Orchid, Luminous Musk. Bottle Design and Artwork: This is a longer, slender version of the 1.5ml sample vial. The vial is clear with purple writing featuring the brand, Justin’s signature, amount, and type of perfume (Eau de). The brand name is both in block letters and in Beiber’s handwriting, although the scent name is conspicuously absent. In the Vial (ITV): It reminds me of a spring day in a orchard. Apricot, pear, strawberry, and vanilla abound. Wet: The vanilla and strawberry are stronger on my skin, followed by juicy apricot (this is a gorgeous note in here , pear, mandarin, and musk. This makes my mouth salivate, actually I have to say, I’m impressed so far. It is bright, innocent, and flirty but the notes are rich and don’t come off as artificial fruit. Dry: It sweet fruits have died down, so now it’s mainly vanilla, musk, jasmine, and orange blossom. I liked it so much better when it was wet. Scent Description and Notes: “Discover Alien, radiant and mysterious, the elixir of absolute femininity. Be seduced by the soothing solar energy of this extraordinary fragrance from elsewhere. Luminous like a brilliant solar flower, the fragrance exudes a positive energy, charged with mystery. Evoking the scent of wood warmed by intense sunlight, Alien is sensual and intriguing, yet as soft and rich as the caress of cashmere. Bottle Design and Artwork: This is a standard 1.5ml sample vial. The vial is a white plastic with purple writing featuring the name of the scent, brand, amount, and the distribution information. The brand name is in an extended cursive and the name of the scent is in a tall, pointy font that does look very alien. In the Vial (ITV): It’s green and a bit powdery, although the jasmine sambac isn’t as masculine as other sambacs I’ve smelled so far. Wet: Jasmine sambac is the top note once sprayed on my skin, followed by sweet vanilla, amber, a hint of green, and a touch of cashmeran. IT’s exotic and pretty, but a bit overbearing if sprayed anymore than the smallest quantities. Dry: The jasmine sambac, vanilla, and chameran are still evident. It strikes me as a scent more someone in her late 20s or 30s on up. It’s not as vibrant as Coach Poppy, but it is more mysterious. *Sigh* This is my last imp in my 3/4 full imp box. After this, I’m going to test my sample designer fragrances before I move on to the numerous BPAL bottles sitting on my desk. Oil Color: A creamy off-white color. Bottle Design and Artwork: This is a standard vial / imp size (1/32 oz). The label wrapped around the bottle features three scary ents on the back. The front features the website along the outermost side, the title of the scent written in large black font outlined with red, and the title of the collection right below it. In the Imp (ITI): It’s fruity, succulent, and slightly earthy, like dirt and lychee, maybe. Wet: It’s still earthy and fruity, but the fruit really is a pale fruit for me. It strikes me as slightly tropical. Dry: After 12 hours, I can’t really detect anything. After reapplication, it’s light and airy – coconut, certainly. It’s so pretty. When the boy had grown up, his godfather one day appeared and bade him go with him. He led him forth into a forest, and showed him a herb which grew there, and said, “Now shalt thou receive thy godfather’s present. I make thee a celebrated physician. When thou art called to a patient, I will always appear to thee. If I stand by the head of the sick man, thou mayst say with confidence that thou wilt make him well again, and if thou givest him of this herb he will recover; but if I stand by the patient’s feet, he is mine, and thou must say that all remedies are in vain, and that no physician in the world could save him. But beware of using the herb against my will, or it might fare ill with thee. Oil Color: A greened yellow oil. Wet: Hyssop, light herb, and fainter aquatic. It’s nicer on my skin than it is in the bottle. Dry: The hyssop is stronger when dried, but part of the notes remind me of early 90’s Glade air freshener. Scent Description and Notes: “ “Beware the Jabberwock, my son! ITI: It is spicy and musky, but certainly floral from the chrysanthemum and poppy. I remember sniffing this when I first got it and not liking it as much. It appears that this one ages well. 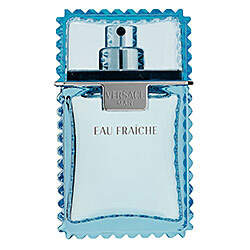 Wet: Very spicy poppy, succulent wild plum, musk, and chrysanthemum. It makes my mouth water. Dry: It doesn’t last too long, but I still get something that is a sweet poppy and musk mix. 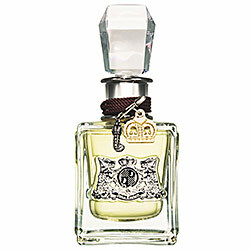 ITI: Very much lavender-citron cologne with fresh pennyroyal. It’s rather refreshing as a scent so far. Wet: I get fields of lavender and thick pennyroyale. It’s simply but gorgeous so far. Even if it’s more masculine, I would wear this in a heartbeat. Dry: The lavender and pennyroyale are a bit more tame so I can pick out the musk and the faint cologne quality to it. It’s still a very attractive scent. Mad Hatter, you fox, you. Oil Color: A limoncello color. Bottle Design and Artwork: This is a standard vial / imp size (1/32 oz). This is a decant ralenth. The label features the scent name and notes on the back, the decanting name on the side, and the title of the collection framing the image on the front. The image is a shunga print of a naughty man peaking under a woman’s kimono while he clearly enjoys himself. ITI: It’s spicy and astringent, like nettles, crushed ants, and freshly cut wood. Wet: It still smells very much the same on my skin, except I get a little more maple leaf. Dry: Once dried, the nasty aspects of the scent have gone away. It’s not a pleasant combination of woods and a touch of clove. Oil Color: A bright mandarin color. ITI: It’s dragon’s blood and Dial antibacterial soap. I usually love sandalwood and orris root, so I’m not sure why I’m getting this impression. Wet: I get a similar impression, but there’s a dry resinous to the scent from the orris root and a little resin sweetness from the sandalwood once applied to my skin. Dry: Sadly, this one doesn’t stand the work-day test. On re-application, I get orris root, sandalwood, some dragon’s blood resin, and more antibacterial soap.